Although technically speaking there is a chance for Real Madrid to win the La Liga title this season, although quite the collapse would be needed for Barcelona to drop a 12-point lead over the ten games left, the Bernabeu world is going to be fairly quiet from now until the end of the season. And that's fantastic news, as it leaves loads of space for scurrilous daily transfer rumors. And there are loads. A new player has joined the transfer train with 'France Football' - all grown-up and stuff - reporting that Coach Zizou has targeted Liverpool's Sadio Mane this summer. The Senegal forward is having quite the season for the EPL club having scored 20 goals in league and Champions League this season. Another name being floated about on Tuesday is Adrien Rabiot - currently exiled with PSG - who is being looked at as the short-term replacement for the crinkly Luca Modric. Even Neymar's arrival in Madrid late on Monday night caused some hearts to flutter. However the foot-resting PSG man was merely in town to record a commercial. However, one possible departure is on the horizon with L'Equipe reporting that Raphael Varane wants a change of air. 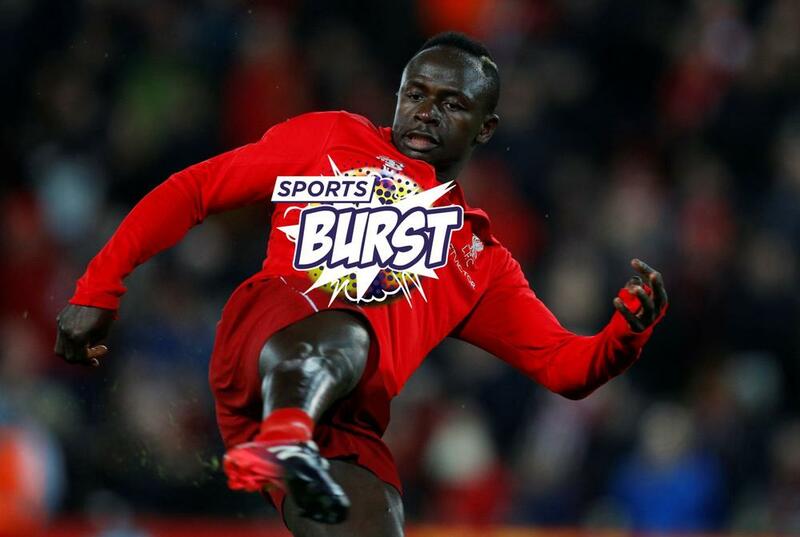 The Sports Burst live show will mull over the transfer rumors of the day on our beIN SPORTS Facebook page at 12PM ET / 9AM PT. Jose Mourinho is showing that a vacation can do anyone the world of good by being quite nice about a footballer for once. That is world-stopping news in of itself. That player is Kylian Mbappe and in an exclusive interview with beIN SPORTS, the Portuguese provocateur claims not unreasonably that the PSG poacher is arguably the most valuable player on the planet right now. So, technically speaking, Mourinho has helped the internet cause by opening a new front in the friendly Messi v Ronaldo battle by throwing in Mbappe. "In a hypothetical transfer, he is the most expensive player in football now," mused Mourinho citing youth, brilliant talent now and a rather exciting footballing future as justifications. Talking of exciting futures, beIN SPORTS is tickled pink to announce a brand new show being launched on Facebook live today - Post-to-Post. Join our Kevin Egan to look back at the biggest stories of the day and most importantly of all have your say too. Just head to the beIN SPORTS Facebook page at 5:30PM ET / 3:30PM PT or simply watch back at your leisure. Feeling itchy? A strange, uneasy sensation you can't quite place? There's cream for that. Or, it could be a complete lack of soccer for nearly two days. It's international fortnight which means a bit of slow down for the beautiful game. But not on beIN SPORTS. The Copa Sudamericana is in action this week including three games across the network on Tuesday including a thorough Colon examination by Deportivo Municipal live on beIN SPORTS at 8:20PM ET / 5:20PM PT preceded by Union Espanola taking on Mushuc Runa. Also worth looking out for in the days to come is Lionel Messi's return (again) to the Argentina fold with a Friday clash against Venezuela, while beIN SPORTS' coverage of the AFCON 2019 qualifiers gets underway on Friday as well with the final round of matches, as teams fight for the 10 spots available in this summer's super-duper 24-team tournament in Egypt.